Liberal Bohemian: Roseanne Barr had a face job to look like Trump?... and Bernie is at it again. 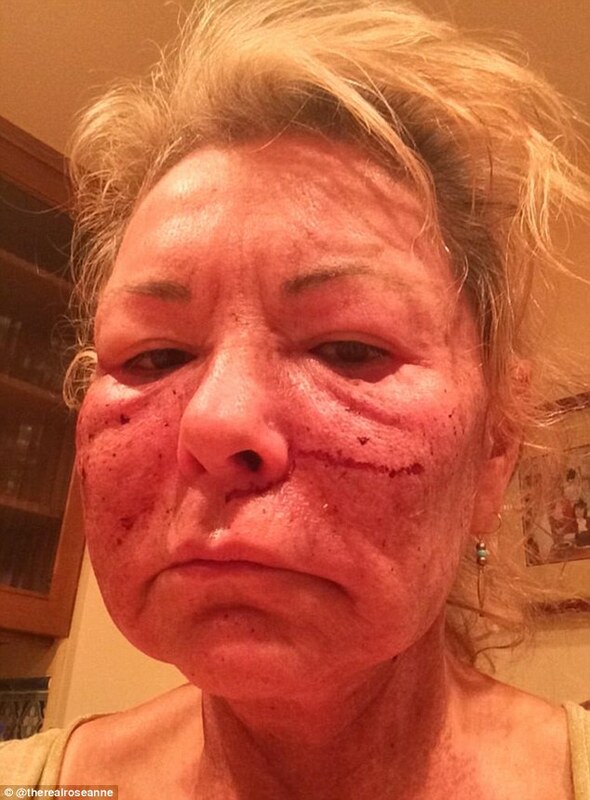 Roseanne Barr had a face job to look like Trump?... and Bernie is at it again. So, seems the greedy corporations still are squeezing every penny out of the working man/woman and there isn't a damn thing you can do about it. In a recent email by Bernie, he states: The Walt Disney Company is an enormously profitable corporation worth somewhere in the neighborhood of $150 billion. Last year, it made $9 billion in profits and rewarded its CEO, Bob Iger, with a compensation package worth up to $423 million over a four year period. And as a result of the Trump tax cuts, they were given an additional $1.6 billion. Did Roseanne Barr get a face job to look like Trump? She posted it for public viewing! I didn't. Close, but the answer is "No," Roseanne Barr did not get a face job to look like Trump, she only chooses to mock his bigotry. You heard it here first Truth Seekers. On this day in 1638 an earthquake rocks Plymouth, Massachusetts. It was the first time colonists in the New World had observed this phenomenon. On this day in 1888, California, a state that would become identified with earthquakes, installs its first seismograph. On this day in 1927, New Jersey had its greatest earthquake ever recorded. On this day in 2018?... hold on, Trumps a tweeting. To all you white supremacist bastards. 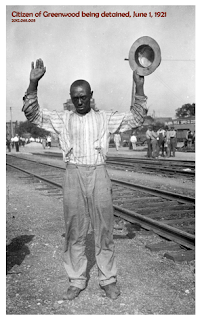 Today, in 1921, all hell broke loose in Tulsa Oklahoma because a black man took an elevator ride with a white woman. 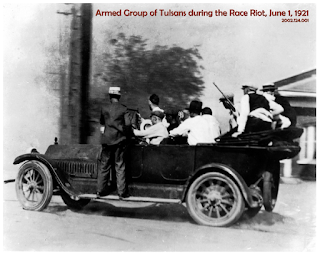 It’s called the Tulsa Riots, but the better term would be the Tulsa Massacre. 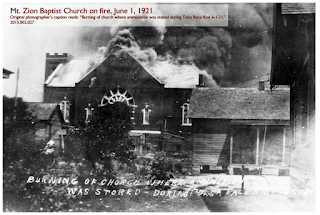 The massacre was carried out by a white mob, the police, and airplanes from the national guard! The town massacred was the Greenwood section of Tulsa, considered the most wealthiest black community in the USA at the time. By the end of the massacre, 800 black men, woman, and kids would be injured, 300 dead, and 10,000 left homeless. So why did this happen? The answer is “guilt.” That’s right, white-man guilt for having enslaved a race of people for no other reason but the color of their skin. It was wrong. It was evil. And to accept this fact would mean condemning their ancestors. So, the evil continues to this day with the angry-white vote of today that now enslaves us all. The solution? Grow up, accept the sins of your father and read a Dr. Wayne Dyer self-help book. 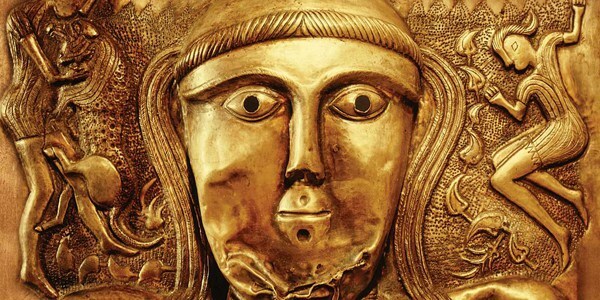 June 1 is the sacred day to Carna, the Roman goddess of doors and locks. Carna was the equivalent of the Norse goddess Syn. This is also the day of Tempestas, the goddess of storms, who tests the doors and locks without mercy. Today's pagan festival of the Oak Nymph honors the hamadryads, the female nature spirits who inhabit oak trees.